It was a pleasure to be taught by Garry. 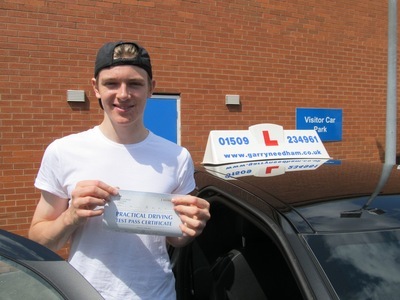 He is a very knowledgeable and experienced driving instructor, and easy to get along with. I passed 1st time with only 25 hours of lessons within a month and a half with only 2 minors. He has very good knowledge of Loughborough and surrounding areas. No lessons are rushed, he has a lot of patience to ensure perfection and you will always get a choice in what you want to learn each lesson. It was great value for money, in a very nice car. I would highly recommend.